We usually think of personality as one of the key distinguishing traits among people, but retail business owners also can create personality within their stores to stand out from the competition. To decide on the personality you want your store to project, be sure you have a clear understanding of your brand, says Tamara Romeo, lead designer of SD Office Design in San Diego. "Are you hip and price-conscious or sophisticated and higher-end? Once you determine who you are, your retail environment will follow. And always remember this: Customers love to feel that you 'get' them and have fine-tuned your products just for them." Holly Dales Raal, owner of Bumble & Hive in Rhinebeck, N.Y., set out to create a bee-themed French country shop. To make the year-old store inviting, she decided to anchor it with a Honey Bar, where customers sample dozens of varieties. "The Honey Bar ended up becoming a huge draw because everyone loves honey, yet many people don't realize that the flavors of different honeys can be so dramatically different," Raal says. "Children, tourists, aficionados and local regulars swarm to our store for a taste." 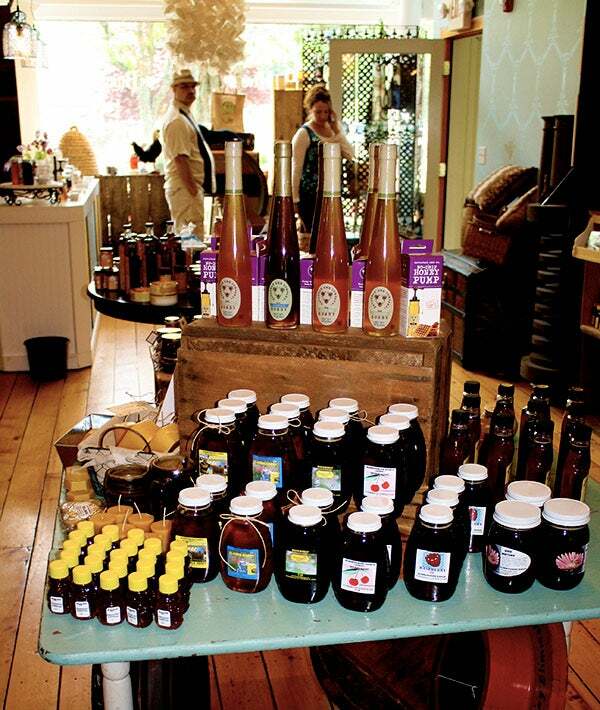 Shop events featuring local beekeepers and honey tastings also have helped develop the shop's personality. Raal has trained her staff to be knowledgeable about all things apiary--from the declining number of bees to the medicinal qualities of bee products to the burgeoning home honey industry. "When we go out and visit apiaries [where the beehives are kept], it always enhances our discussions with our customers once we are back in the store," she says. Raal stocks items like a little brass bee and beeswax candles to reflect the store's theme. Surprisingly, she advises retailers to be willing to stock even merchandise that's hard to sell. "If an item makes a good conversation piece or attracts people to your store, it's worthwhile carrying it," she says. "I always have a few quirky items in the store that reflect my aesthetic and that make customers stop and talk." One such item: A set of vintage etchings of bee anatomy from an old botany book. 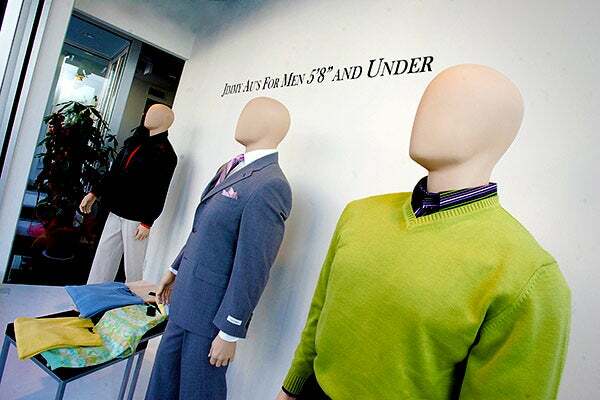 Jimmy Au's shorter, custom-made mannequins reflect the size of customers. Selling clothing to height-challenged men requires a special touch. So, Jimmy Au's, which claims to be the only designer clothing store catering to this demographic, tries to make customers feel as comfortable as possible. For example, the Beverly Hills, Calif., store is scaled to the size of its shoppers, down to the customized, shorter-than-usual mannequins. "Our racks, shelves and furniture are lower than at most stores," says Alan Au, vice president and co-designer, whose father founded the business in 1961 when he sold custom suits out of his car's trunk. Au's parents still work daily in the store. Another key feature: The fitting area is front and center for all to see, not hidden in a corner. "Seeing yourself in clothes that fit can be an amazing experience," Au says. "That transformation is exciting not just for the client but to other clients. And, if the suit doesn't look quite right, that's okay. Being able to talk about it promotes a level of honesty in the privacy of our store." The family name also adds to the store's personality. "New customers ask about our history, wondering how we got started," Au says. "When we tell them that my dad began fitting jockeys, they are surprised and comforted. The fact that he has over 50 years of a trained eye and expertise fitting shorter guys adds to his credibility." Free pet food samples add to the friendly atmosphere at Kriser's. At Kriser's, a chain of 10 pet stores in the Chicago area, southern California and Denver, the retail experience reflects the fun-loving personality of CEO Brad Kriser. Take, for example, the tongue-in-cheek quotations on the store walls--"All our pet foods are personally approved by me. 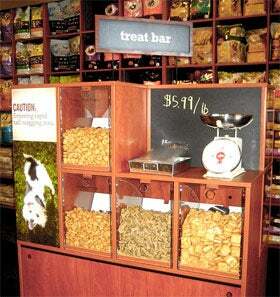 And yes, I've tried them all," or 'Pet Food that's good enough to eat. Not that you would. But you could. Just so you know." "We're serious about what we do, but we also want customers to know that we like to have fun," says Kriser, who launched the company in 2006 and is the proud owner of two rescue dogs. Sample bins are stocked so customers can take free bags of food to test on their pets, and chalkboards list pet-related community events. The shops also offer pet birthday parties, including goodie bags, workshops on "reading your pet's body language," and Giant Breed "Meet Up" playdates, all of which add to the stores' friendly personality. All of Kriser's employees wear name tags that list their pets. "This is an example of how we feel pets are true members of the family," Kriser says. "What we aren't trying to be is cutesy. We prefer to create a tongue-in-cheek retail personality."